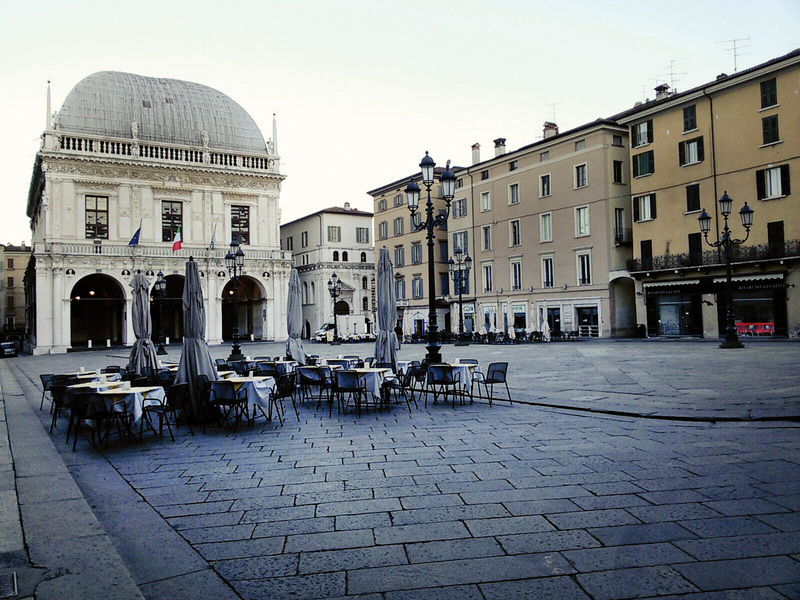 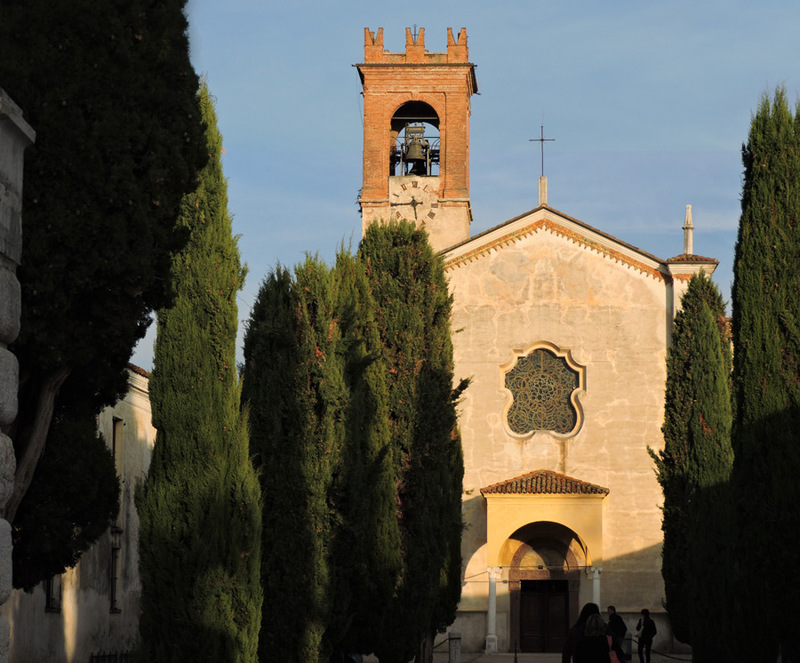 This itinerary starts from piazza della Loggia in Brescia and ends in Paratico on Iseo Lake, crossing the Franciacorta region. 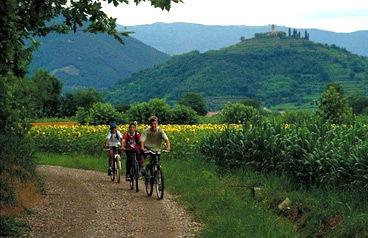 There are many road signs along the way to help you easily leave the city and reach Cellatica and Gussago. Once arrived in Rodengo Saiano, it is worth visiting the monastic complex of the Abbey of S. Nicola. 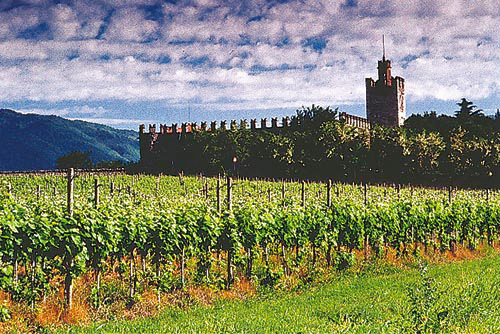 You then pass through an area of cultivated fields to reach the centre of Paderno Franciacorta. 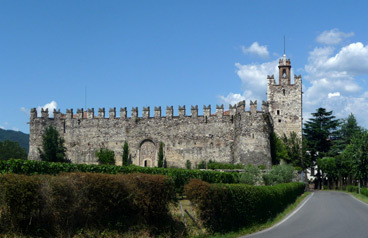 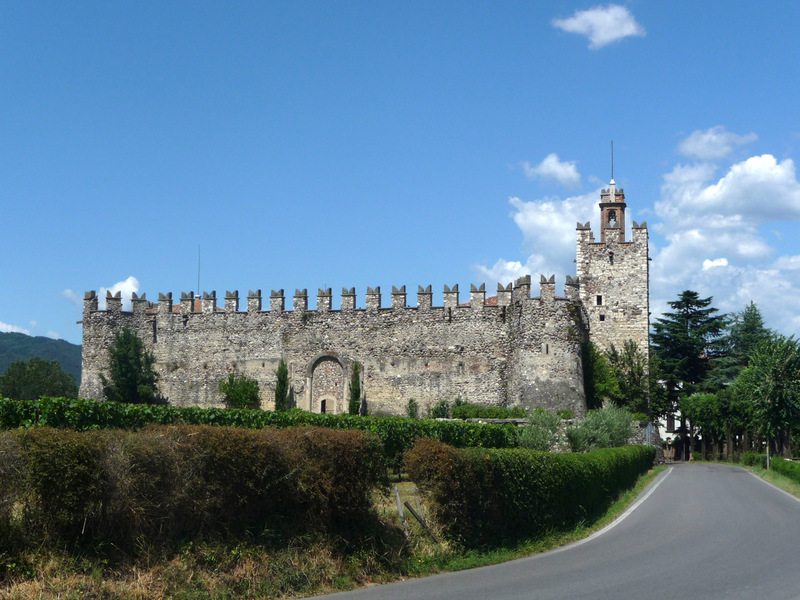 A long boulevard sided by oaks and limes leads you to the castle of Passirano and, crossing a hilly area covered in vineyards, you reach first Monterotondo and then Provaglio d'Iseo. 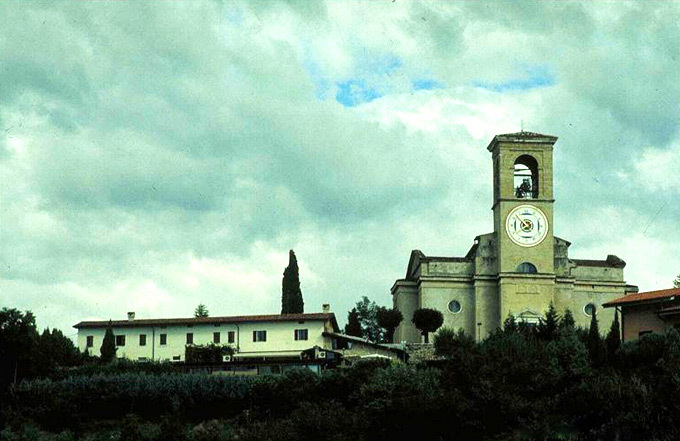 Once passed an industrial area and arrived at the crossroads with Santellone, keep to the left until you reach the railway line. 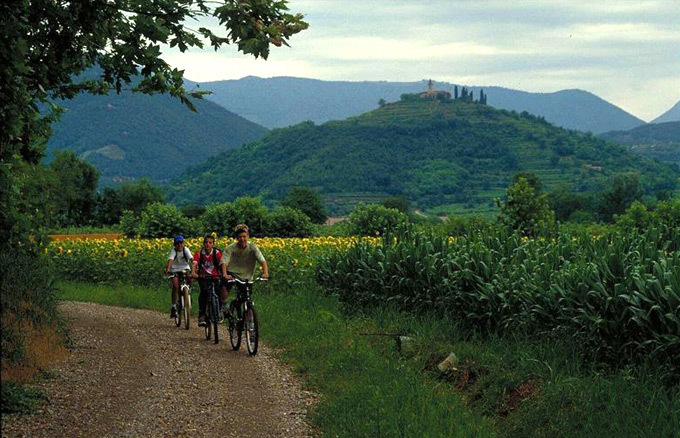 After the railway crossing, get onto a dirt road on the right and enjoy the beautiful landscape of the Peat bogs natural reserve; silently cycle through charming lakelets surrounded by vineyards and cane fields up to the crossroads with the SP road to Iseo. 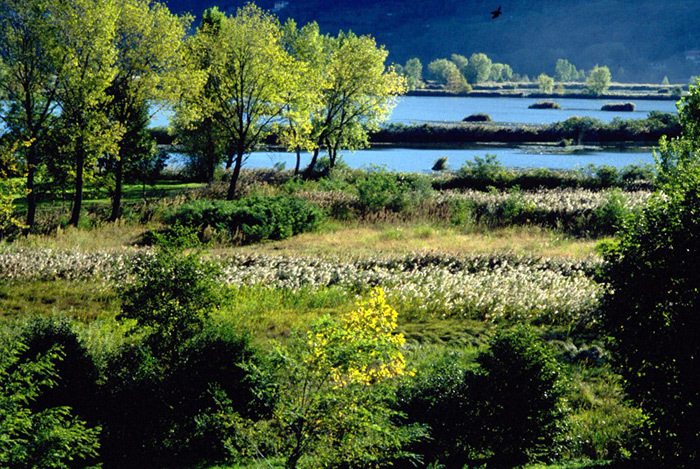 Once crossed the SP road, you reach the village of Cremignane where you can finally see the lake. 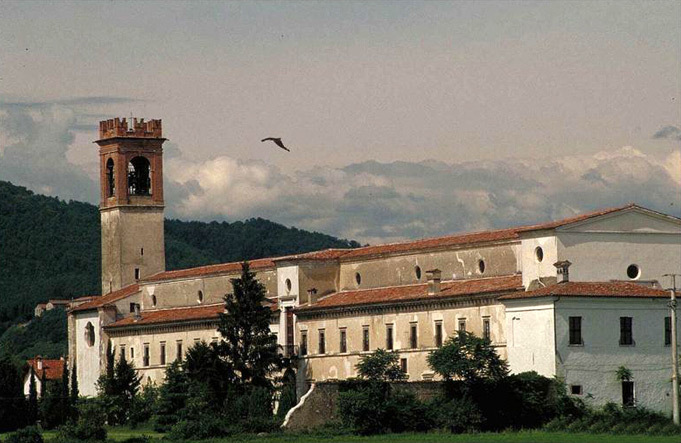 A quiet country road leads you to Clusane, where, at the beginning of the lakeside, you can see the majestic castle of Carmagnola. 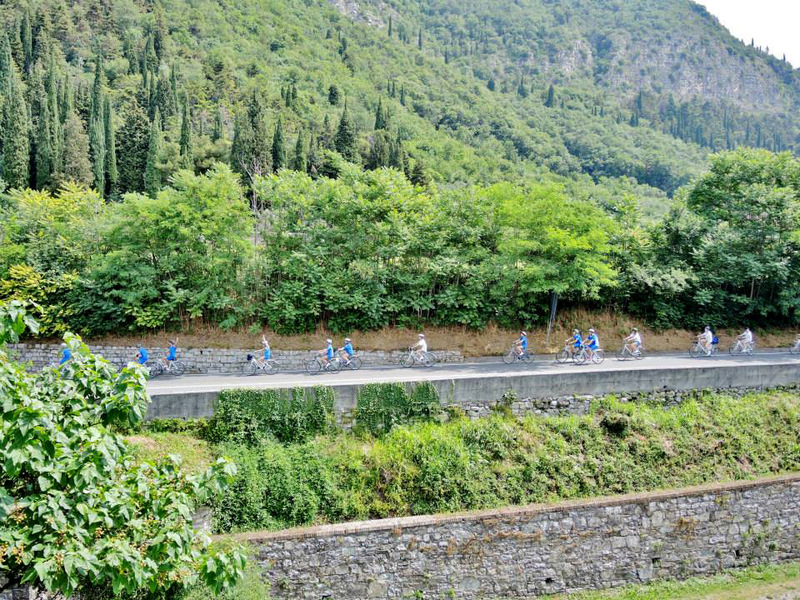 Once back on the SP road, following the cycle track you reach Paratico. 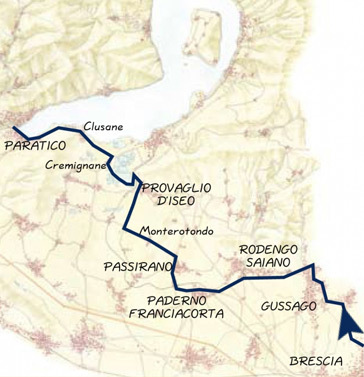 The bridge connecting it to Sarnico represents the end of the lake and of this itinerary: just turn your bicycle round and cycle back to Brescia.